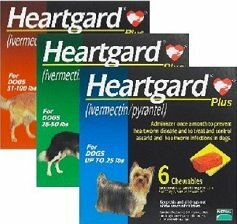 Heartgard Plus is a monthly beef flavored chewable that can help prevent heartworm infection in your dog – and can help your dog avoid the risk, stress, and long periods of confinement that go along with treatment for canine heartworm disease. 100 lb use the appropriate combination of these chewables. Heartgard Plus is a real-beef flavored oral chew so there is no external residue. It helps prevent heartworm disease in dogs as well as other parasites. Heartworms can kill or dramatically shorten a dogs life. Hookworms and Roundworms are parasites easily transmitted in the environment. They have been known to be transferred to humans and cause blindness and discomfort. Tri-heart is a generic substitute. 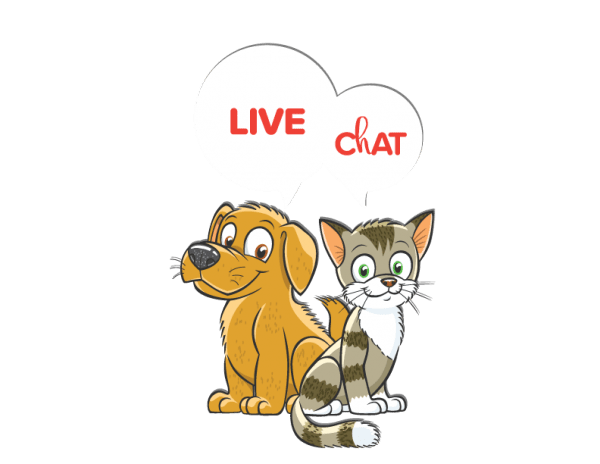 Since ShotVet buys all of our medication directly from the manufacturer you are eligible for a 100% manufacturer guarantee and all rebates provided by the manufacturer. If you purchase a 12-month supply, you are eligible for a $12 Rebate. We will include the rebate certificate with your product invoice or you can pick one up at a convenient ShotVet location near you!